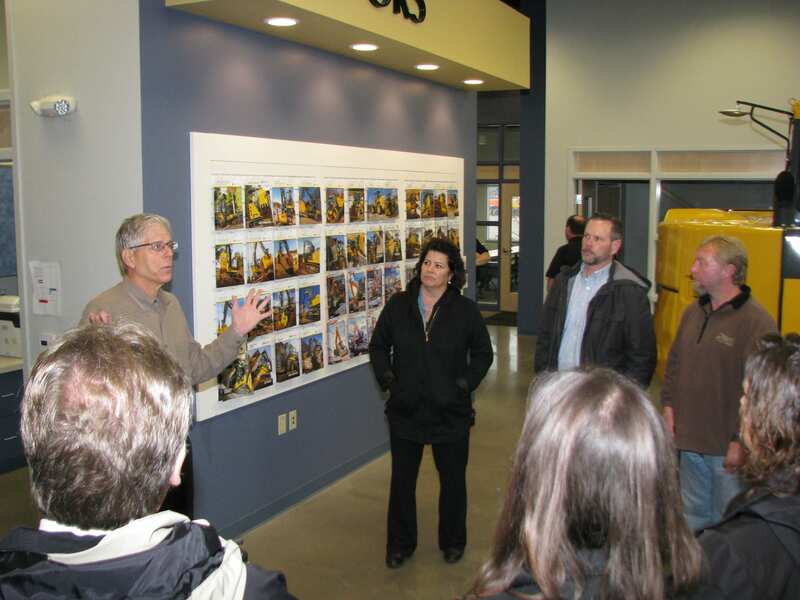 Members of the PABA Backers recently heard the extensive story of Brooks Tractor, Wisconsin's premier construction equipment dealer, from Brooks Company President, Lew Brooks. 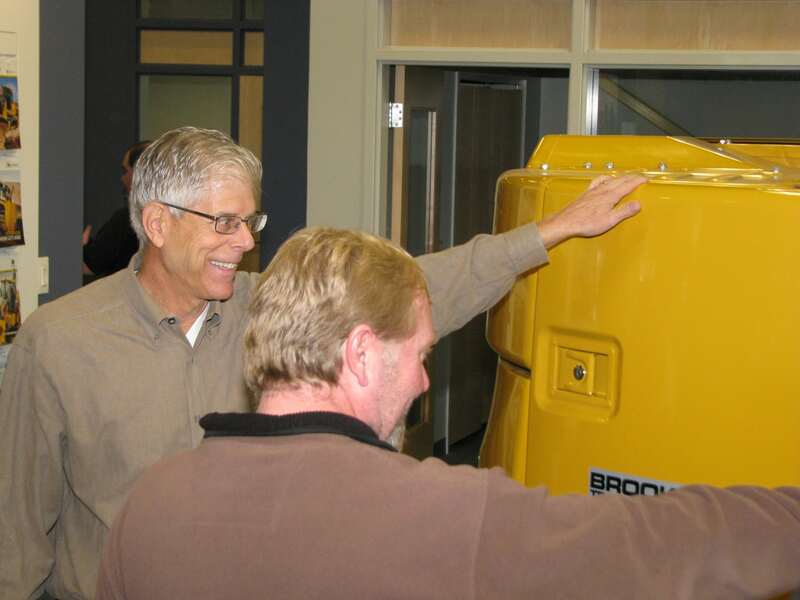 The Brooks Tractor name has been built on a tradition of excellence since 1945 when Lewis P. Brooks returned from WWII and determined his future was in the sales of farm implements. 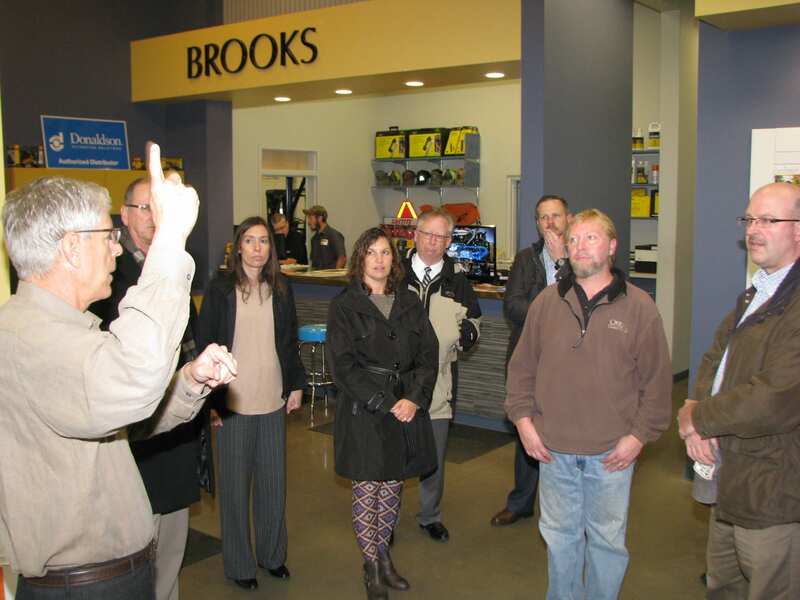 Much has changed as additional generations of Lewis Brooks have grown in the business as the company has evolved into the current multi-branch, premier construction equipment and construction positioning products dealers with six locations across Wisconsin, including the newest addition in Mt. Pleasant in Racine County. The Plover location was added in 2014. Mark Finnessy of Okray Family Farms 'talks shop' with Lew Brooks, President of Brooks Tractor, during the PABA Backers visit to the Prairie Drive location on the east side of I-39, just south of the Highway 54 junction. 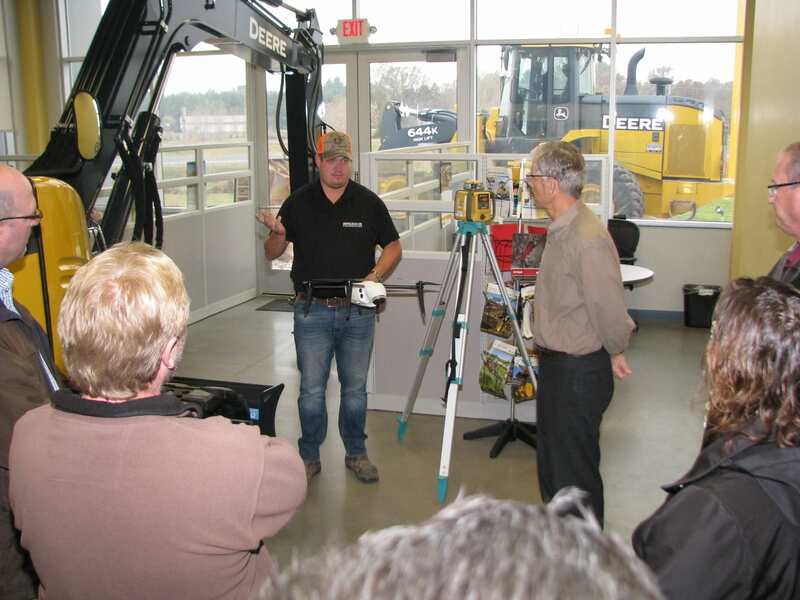 Brooks Tractor Position Support Specialist Travis Larson is shown explaining how drone equipment is revolutionizing construction sites with time-saving through precision positioning and application technology.